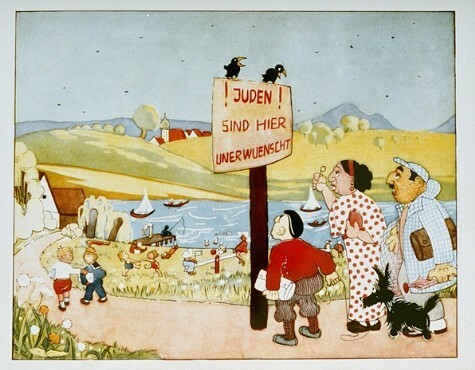 Illustration from an antisemitic children's book. The sign reads "Jews are not wanted here." Books such as this one used antisemitic caricatures in an attempt to promote Nazi racial ideology. Germany, 1936.